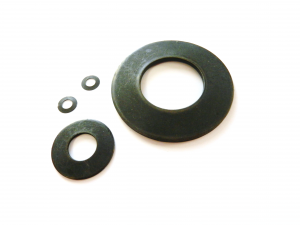 Caleb Components offers a wide range of Disc Spring (Belleville) Washers. Our most common range is the DIN 2093 Disc Springs, available in both Carbon & Stainless steel. We also offer Heavy Duty Disc Springs in Carbon steel, manufactured to DIN 6796 specifications. Another range we offer is the Ball Bearing Pre-load Disc Spring range in Carbon Steel. This entry was posted in News, Pins, Uncategorised on 30th October 2018 by andy.